Family Volley: Common Parenting Practices....To Avoid! 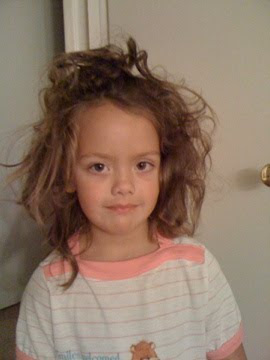 Bad hair styles, Bad parenting styles, Both should be AVOIDED. Let's be honest. Do we use any of the following parenting techniques? If so, we should consider: Before we can see changes in our children, we need to change how we respond to our children. It's true, the world is a scary place. It is important to watch over and protect our children, but becoming paranoid is not a good parenting approach. Obsessively controlling our children will not make the world more safe. Constantly worrying about dangers that "could" happen only breeds fear into our children. Actually, the tighter we rein our children in, the more obsessed we become and the more anxious and less confident our children turn out. Do you hear yourself saying, "Don't touch that!" "Don't go over there!" Stay right next to me!" "Don't do that!" "Don't go too far!" If you are saying these things All. The. Time, it needs to stop. Today's generation of kids is more paranoid than any other. As parents we need to relax, and let our children deal with life. It is important not to pass our fears on to our kids. Constantly reminding our children of all the dangers in the world is not necessary. I really have to watch myself with this. From germs to kidnappers to school shootings, I find myself telling my kids what they can't do more than what they can. I especially run into this when something horrible happens. A few years ago there was a deadly mall shooting about 40 miles from where we live. My poor kids. They couldn't even let go of the shopping cart at the grocery store. When I watch the local news too much, I become so paranoid I am sure my kids feel like they can't even breath. Paranoid parenting undermines a child's ability to make their own decisions with confidence. Not a good way to go about raising kids. Kids need parents who set rules and boundaries and don't muddy the line between parent/adult and friend. Remember we are their parents, we can be friends later. We find ourselves avoiding making the unpopular decisions because we want our kids to "like us." We avoid disciplining our kids because we don't want them to resent us. If you want spoiled children, seek to be their "best friend." If you want kids who are secure, resilient, compassionate and responsible, be a parent. Set clear limits and boundaries, and be in control. Our children need moms and dads, not best buddies. Do you solve every one of your child's problems? Do you finish their homework for them and do their school projects? Are you always swooping in to rescue? Do you finish their sentences and micromanage their lives? This parenting practice teaches kids to be dependent their entire lives. They grow up to be unprepared to handle life's difficulties. Kids raised with this parenting technique have trouble developing self-reliance, problem solving and decision making. The goal is to be involved, but not intrude. Then your child can develop independence and live on their own one day. Sounds good, doesn't it? Remember last time when you were at Super Target and your child threw a temper tantrum. So instead of leaving the cart and removing your child from the situation, you bribed your child with a new toy and a treat? It fixed the situation that day, but in the long run it will make things worse. We are all guilty of quick fix parenting. We find ourselves willing to do anything, as long as it works right now. We warn, we threaten, and we give in. This parenting style is reaching far beyond SuperTarget. Children are being over medicated because it is easier than teaching children to behave. Don't misunderstand. There are some very good reasons why children need medication, and it is a blessing that we have the "tools" to help kids who need it. Regardless, there are a lot of cases where medicine might not be the best choice. These techniques teach kids to act right...for the wrong reasons. It might be a temporary solution, but never brings lasting change. We will be most effective as parents, when we take a few minutes to help our children understand what is wrong and make things right. It seems that in this day and age, everything but parents are teaching kids. We are letting someone else parent our children. Media and television. Kids are spending so much time in front of the television, computer, on their phones, and with video games, parents have taken a back seat. When was the last time you saw a T.V. show you would trust to teach your child? Kids, on average, watch over 3 hours a day. Young children are especially at risk because they believe everything they see and hear. All this technology means less real time with parents. Technology takes over and as parents we begin to lose power and influence with our children. The prevailing culture becomes our substitute. This type of parenting makes children vulnerable to outside pressures and teaches them to rely on someone else to guide them, instead of you. They are also more likely to adopt someone else's values. As parents, we are the most powerful influence for teaching our children values, attitudes, morales, and appropriate behavior. We need to find more ways to be in our children's lives. The first place to start, limit technology. As parents, our goal shouldn't be to create a child we can put on a pedestal. This type of parent shows off and brags about every accomplishment and award. Feeling it is a direct reflection of how well the child has been parented. When the child fails, or doesn't take first place it means that the parents have failed. This parenting style is about making our children an extension of our own dreams and wants. It creates pressure and stress if our kids don't measure up. Then our kids feel like they have let us down. If it continues, both parent and child become dependent on each other for their sense of self-worth, and the child's identity is threatened. We need to learn to see our children as individuals, then adapt our parenting to their talents and needs. It's pretty easy to see that we all adapt these parenting styles now and again. I can definitely be paranoid. I still let them go out and experience life, and only really constrain them when there is danger or fighting involved. Some of the time though I am waging this internal battle, and have to learn to suppress the what if's. It is hard to not be extremely protective of your kids especially when they're still fairly young. I think if you are recognizing that, you have the battle won. Thanks for joining the Tuesday Train! I'm following you now. I wouldn't know anything about bribery and parenting. Nothing at all.